Experiencing tremendous economic growth comes with a price. 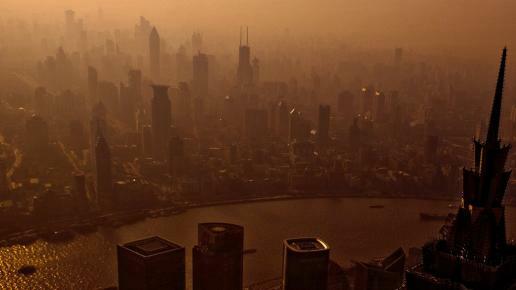 China’s booming commercial industry might be creating problems on the environmental quality of the country’s air, land and water. More than 300 million people have no access to safe drinking water, while more than half of its urban residents face daily exposure to badly polluted air. Across several provinces in China, levels of lead found in children’s blood and cases of toxic poisoning have increased to fatal. World-renowned award-winning China environmentalist Ma Jun realized that no one was going to take responsibility for the smog and pollution that plagues his country, so he decided to take matters into his own hands. As the “workshop of the world”, a sizeable portion of pollution in China comes from multinational corporations with manufacturing and sourcing operations in China. While they all claim to be implementing green initiatives and promise clean production, transparency, and accountability at home, many often all short. Ma Jun believes that encouraging citizens to start “pointing their fingers at the problem” could change the way people think. Manufacturers have been reaping the benefits of China’s prosperous industrial economy while dodging the consequences of fouling up the air. Upon realizing this, Ma Jun and his team built a live-updating map that shows exactly where individual polluters are emitting the stuff that threaten Chinese citizens’ health while also contributing to global climate change. The app uses government-installed air monitoring systems and reports real-time emissions from sources all over the country, making in big orange circles the culprits. China has strict anti-pollution laws—some violations even punishable by death—but the app has found that the worst offenders are state-owned or government-affiliated, thus are likely given leeway because of these ties. Ma Jun believes that with few electoral routes to justice available, public opinion is often the best tool for fighting this war. As of now, 10,000 people have downloaded the app, which aims to shame the top polluters. Had it been a few years ago, this kind of monitoring would not have been possible as it was only in 2012 that Chinese cities were regulated to disclose information and reports on their sulfur dioxide emissions and pollution control. Although transparency is a major issue in China’s environmental policy, the country’s politicians realize they cannot escape the responsibility as China’s smog has reached deadly levels. Ma Jun is a renowned Chinese environmentalist, non-fiction writer, and scholar who won the Goldman Environmental Prize in 2012, for his expertise in Environmental Policy in China.